Being a Parent is a human right, in Akanksha we offer you that right of Parent hood. Akanksha hospital and research institute is one of India ‘s Best IVF centres today.It is regarded foremost as one of Best Surrogacy Clinics in the world. The Akansha Hospital Family is proud to have a team of Specialist Doctors , so that we leave no stone un turned in delivering complete care. All hospital services are delivered by a team of doctors who are focussed on delivering high quality care. 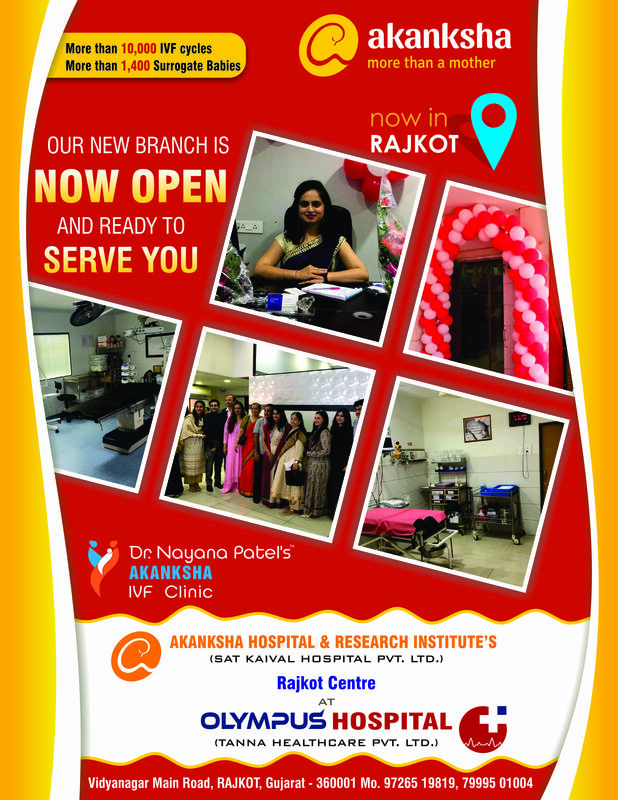 The “Akanksha Hospital Family” is more than happy to be at your service and to help you out in all your concerns! AHRI has a unique combination of the best technology along with experienced skills to ensure world class health care to patients. It boasts of nothing but the best in offering every treatment and facility to each and every patient. Spread in the Lush green and vast lands of Anand city , it is a “ state of the art “ institute of its kind.